The Interdisciplinary Ph.D. in Education Sciences (major code: EDSC) program is designed for individuals seeking careers in educational research. Graduates of the program are prepared to meet the growing national need for educators who are well trained in methodological issues in education research. This Ph.D. program prepares individuals who will have careers in research universities, educational research labs and corporations, and research groups within education agencies. 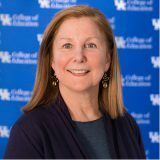 All EDSC students will be encouraged to apply for 20-hour per week research assistantships on grant-supported projects in the College of Education and other units at the University of Kentucky. In addition to coursework, students will be expected to attend local, state, or national professional conferences during the first and second years of their programs. All students will be expected to present their research at professional conferences by their third year in the program. EDSC doctoral students are expected to submit manuscripts to professional journals and accomplish refereed publications during their doctoral study. Presentations and publications may be scholarly works with a single author or groups of co-authors. EDSC is a rigorous doctoral program that requires year-round, full-time study. Under certain circumstances with approval of the faculty and Director of Graduate Studies, a student may be allowed to enroll as a part-time student. Students will only be permitted to start the program during the fall semester of each year. Students will be required to complete a set of core courses in research methods, and students will then follow a particular “strand” of courses in an area of specialization. All students will be involved in educational research projects throughout their time in the program. Additional information about the curriculum, including specific course requirements, may be found in the Interdisciplinary Ph.D. in Education Sciences Program Plan and Curriculum Sheet. This document is a tool for current and prospective students and faculty advisors. Qualified applicants will have earned baccalaureate and master’s degrees from fully accredited institutions. Applicants must meet admission requirements set by the University of Kentucky Graduate School. We are part of the Hobsons ApplyYourself Application Network, a system that provides an opportunity to submit all Graduate School and Departmental requirements in one application including letters of recommendation. All applications for graduate study at the University of Kentucky Graduate School must be submitted online. Include your educational background, work experiences, professional certifications, professional memberships, publications, and references. 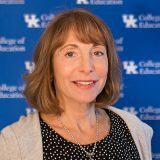 Rationale for why the Educational Science program at the University of Kentucky is a “good fit” for your goals. Sole authored article, manuscript, class paper, or Master’s Thesis demonstrating APA style command (title page, headers, references).